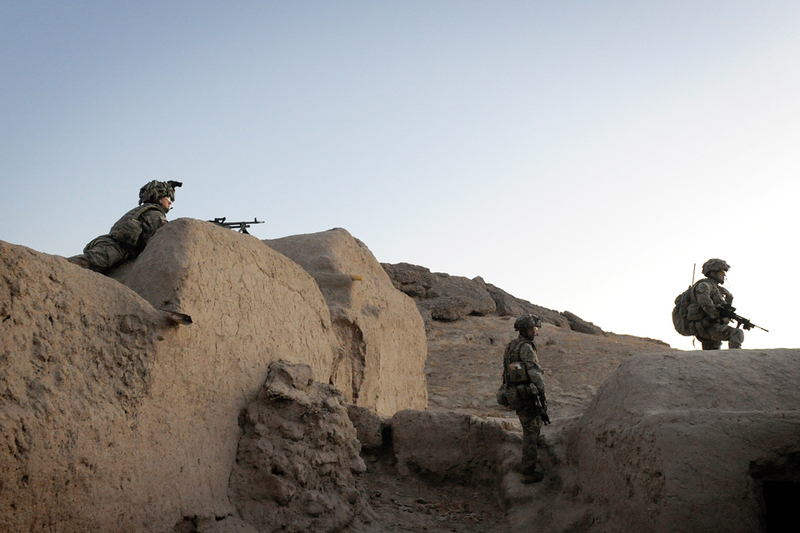 British and Afghan soldiers have destroyed a significant insurgent bomb cache in Helmand province. Soldiers from the Queen’s Royal Lancers and the Household Cavalry Regiment worked shoulder-to-shoulder with colleagues from the Afghan National Army during the operation, which marked a successful start to Operation Herrick 18. The British soldiers are part of 1st Mechanized Brigade which took over from 4th Mechanized Brigade as Task Force Helmand on 10 April. The operation was conducted jointly as part of a handover with the outgoing Brigade Reconnaissance Force made up of the Queen’s Royal Lancers and1st Battalion The Duke of Lancaster’s Regiment. Acting on intelligence, soldiers from the 1st Mechanized Brigade Reconnaissance Force were inserted by helicopter at first light into a compound in the Nad ‘Ali region of Helmand. Searching alongside Afghan troops they discovered over 200 kilograms of home-made explosives as well as a large quantity of remote controls and pressure plates used for triggering deadly improvised explosive devices (IEDs). The teams also found a motorbike packed with explosives intended to be used as a suicide bomb.